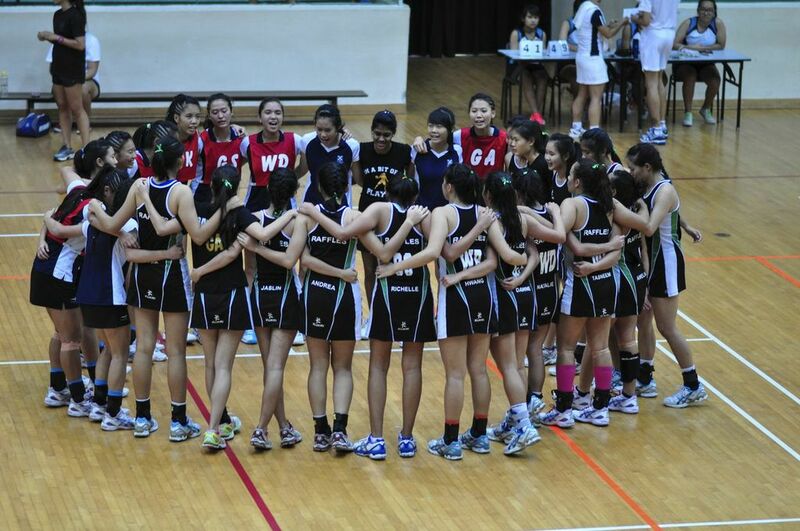 Playing for 3rd/4th placing against SAJC after narrowly losing the semi-finals, the Raffles Netball team was determined to make the most out of their last lap this season, and they definitely did us proud yesterday afternoon. Raffles started off well, with 2 goals within the first minute, but the tables turned quickly thereafter. In the next three minutes, SA scored 3 consecutive goals, pulling ahead by 1 point. It was clear that our opponents were a strong team as well, and it was going to be a tough fight. The first quarter ended with a score of 13-9 against us, but Team Raffles had never given up hope. The girls came back strong in the second quarter, scoring a 3-point streak in the first three minutes. Stepping up their game, Raffles marked the players on the opposing team with dogged tenacity. Their efforts began to pay off, as Raffles’ score inched closer to that of SA’s. At the fifth minute, a good shot by Goal Attack (GA) Dawne Lim levelled the score at 15-15. From there, things only got better for Raffles as the team fought even harder. Good passes and intercepts by Centre (C) Amelia, as well as great teamwork between two of our talented shooters, GA Dawne and Goal Shooter (GS) Richelle, propelled Raffles into the lead with a total score of 25-23. The fight was even more intense in the third quarter. The players on both teams were noticeably fatigued with more frequent stumbles and missed catches, but neither team let it dampen their spirits. This quarter saw considerable interception by Goal Defender (GD) Tasneem and Wing Defender (WD) Natalie, as well as strong defence by Goal Keeper (GK) Shiying, helping Raffles gain possession of the ball. 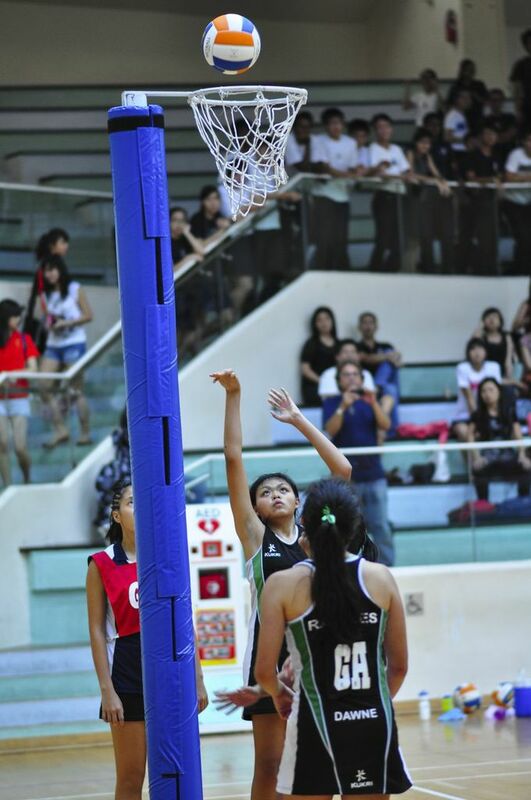 GS Richelle delivered an amazing scoring streak, ending the quarter with a total score of 37-35, maintaining Raffles’ lead of 2 points. Raffles started off commendably in the last quarter, widening the score gap to 5 points with a total score of 44-39 by the tenth minute. 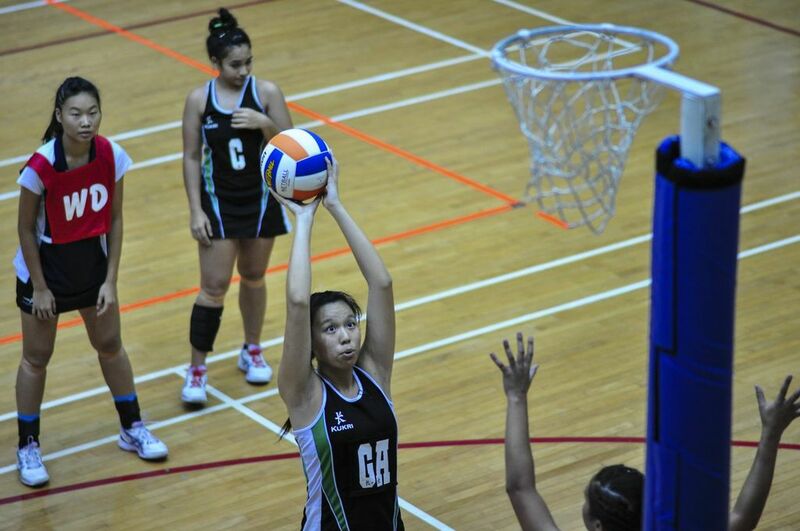 After a short break, SA returned to the court with a vengeance, making long, ambitious passes across the court. As tensions drew high, both teams began to show signs of strain. A slight miscalculation in distance by SA allowed Raffles to gain possession of the ball, with GA Dawne scoring at the twelfth minute. At this point, the pace of the game was visibly slower, but both teams were determined to persevere till the end. Good passes from Wing Attack (WA) Elizabeth to Richelle coupled with more interceptions by GD Tasneem scored 5 more points for Raffles, ending the game on a high note with a final score of 49-41. Both teams displayed exceptional skill and spirit, but our girls did us proud by putting in their best effort and fighting till the very end. Despite facing a tough first quarter, they held their faith and pressed on, eventually catching up with their opponents and finally, gaining the lead. 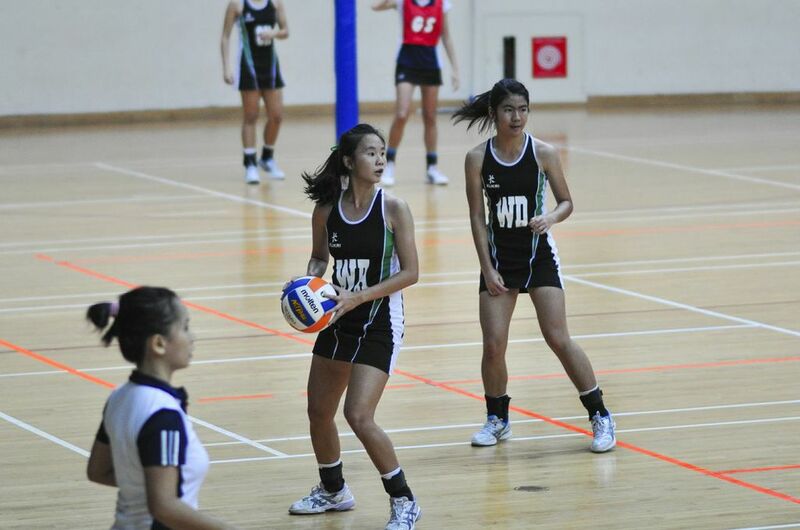 With great teamwork and perseverance, the girls were able to maintain their lead throughout the match. 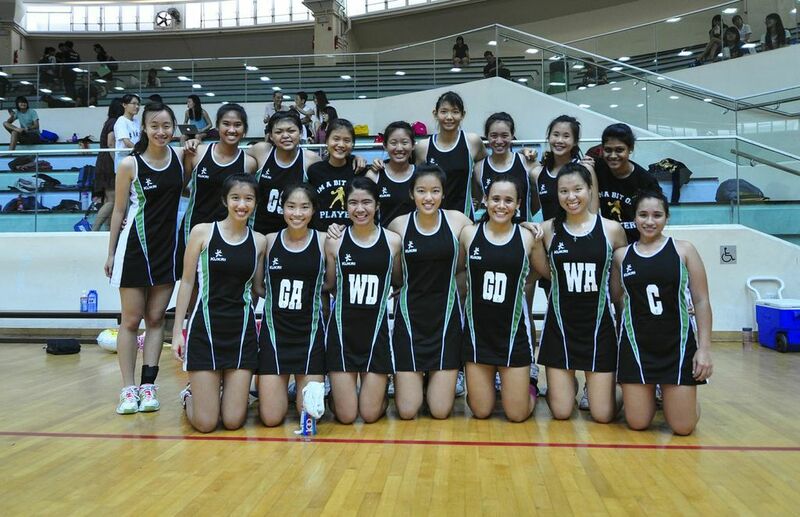 Raffles Press would like to congratulate Raffles Netball on their win, and would also like to wish them all the best for their season next year.